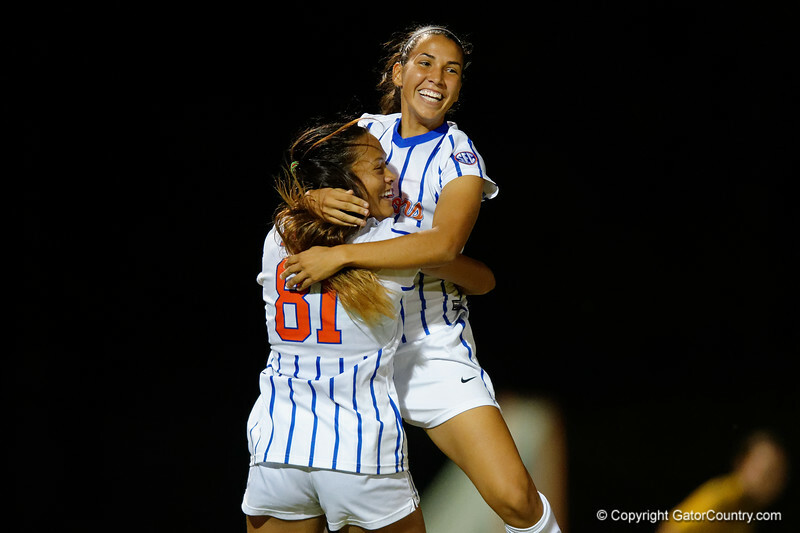 Florida Gators soccer midfielder Briana Solis celebrates with Florida Gators soccer defender Rachelle Smith after scoring in the second half to put the Gators up 3-0, as the Florida Gators soccer team wins their final home game of the season with a 4-0 win over the Arkansas Razorbacks. October 25th, 2015. Gator Country photo by David Bowie.